Boxer Mike Tyson’s 4-year-old daughter is on life support after she was found with her neck on a treadmill cable Monday, police said. The boy told the girl’s mother, who was in another room. She took the girl off the cable, called 911 and tried to revive her. Responding officers and firefighters performed CPR on the girl as they rushed her to a nearby hospital, where she was in “extremely critical condition” and on life support, Hill said. 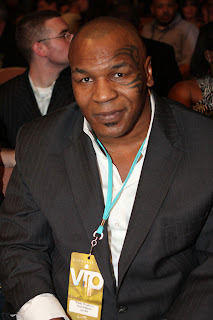 The former heavyweight champion had been in Las Vegas but flew to Phoenix immediately after learning of the accident.